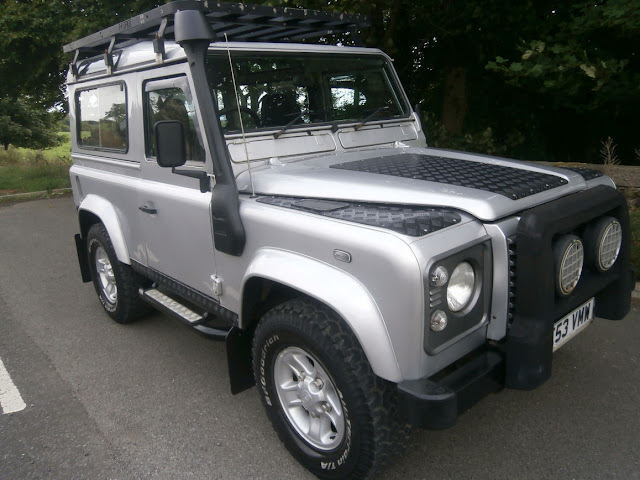 Sellers Comments -You are looking at a very nice, solid, well maintained Land Rover Defender 90 Td5 ( XS spec ), first registered on 30/12/2003 ( 2 days off being a 2004!! ). 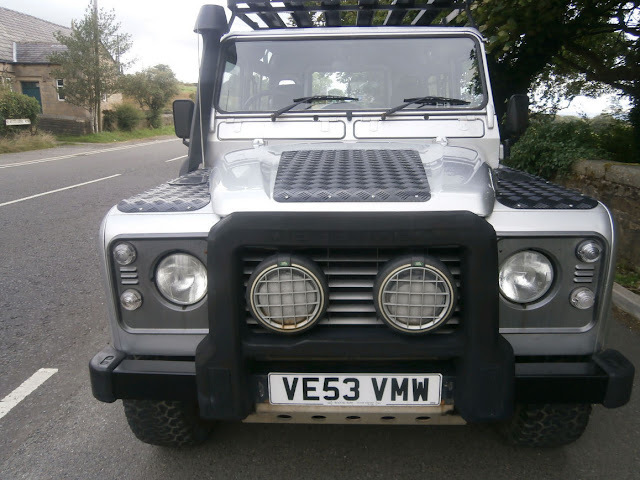 It is in exceptional condition and drives superbly. The chassis, bulkhead and rear cross member are all in great shape. The bodywork is in lovely condition and the inside is very clean. It has been very well maintained from new and comes with a fully stamped up service history and a large file on invoices/receipts, old mots etc. It has been enthusiast owned and has some very sensible upgrades. 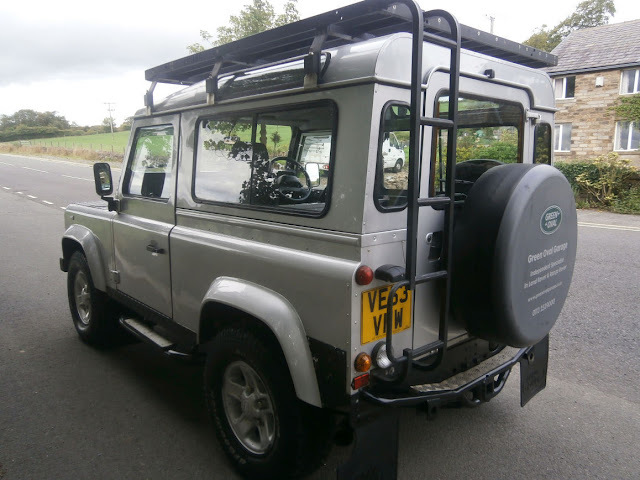 It is equipped with metallic silver paintwork, colour coded wheel arches and roof, Patriot roof rack with rear access ladders, Alpine lights, full internal roof lining, rear sliding windows, Land Rover rear load liner, half leather eating for 5 people, heated front seats, air conditioning, heated front screen, cd/tuner, Mantech snorkel, front soft A frame with additional driving lamps, steering guard, side steps, Land Rover Boost alloy wheels with BF Goodrich tyres, front and rear mud flaps and a rear NAS step/towbar with electrics. If you have any questions whatsoever, please feel free to phone me on 01204 465235 anytime up until around 10.00 in the evening. The Land Rover is situated in Bolton, near Manchester and any inspection is invited. Delivery or collection from Bolton train station can easily be arranged if required, good luck.